Guided by the classic tastes of a trend-setting domestic guru, Martha Stewart Living celebrates the simple things in life. 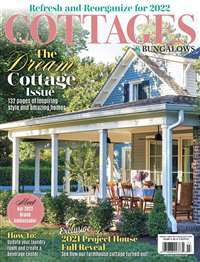 From tips on gardening and collecting to creating and entertaining, each issue of this award-winning publication dishes readers with a healthy dose of fresh ideas and tips to transform everyday activities into fun and easy experiences. 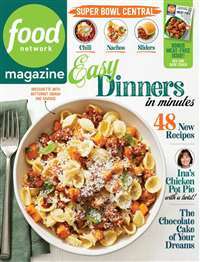 With delicious recipes challenging enough for a pro and easy enough for a beginner, Martha Stewart Living has something to offer everyone. 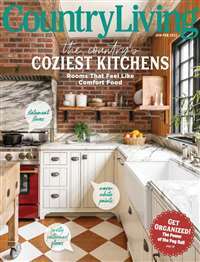 The magazine itself is impeccably organized, true to Martha fashion, with each vibrant feature filed into its own section of "cooking," "keeping," "crafts," "home," and "collecting." You'll find a seemingly endless array of detailed instructions and full-color photos to teach you how to become a whiz at the area of your choice. 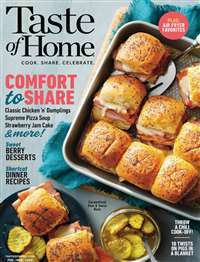 With coverage of all areas of the home, plus weddings, baby showers, and holidays, no magazine does it better than Martha Stewart Living. 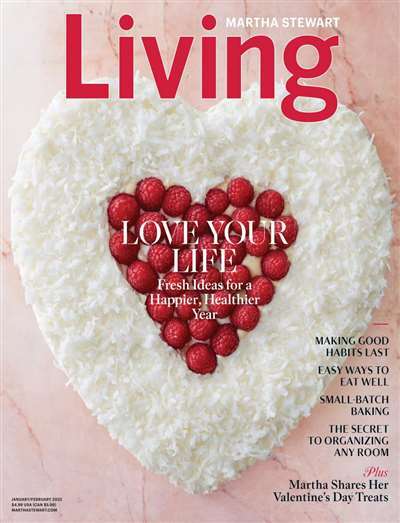 Subscribe to Martha Stewart Living Magazine at MagsConnect.com. 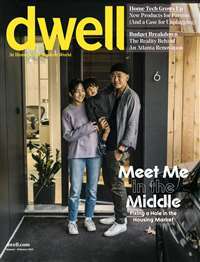 This is a fine magazine with truly scrumptious recipes if you're into the kitchen/food thing, home ideas that one can actually use (or that will inspire one to do something similar), and exquisite photography, usually quite stark and simple, of ways to enhance the aesthetic beauty of one's life. This is the most well rounded magazine. Outstanding photography and truly well written articelsmake this a one of a kind.